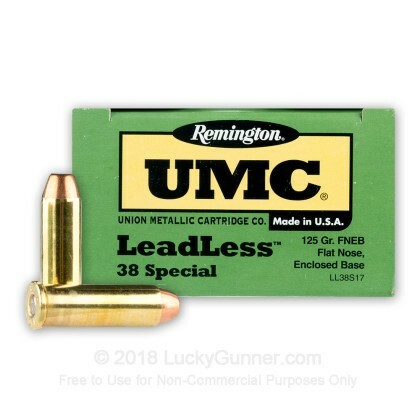 This 38 Special cartridge by Remington features a relatively lightweight 125 grain flat nose enclosed base projectile. Its light weight means it will speed downrange with a muzzle velocity of 850 fps. Its flat nose means it will punch a neat, easily visible hole through a paper target. Its enclosed base means the bullet is protected against propellant gasses that would vaporize its base (a total metal jacket). 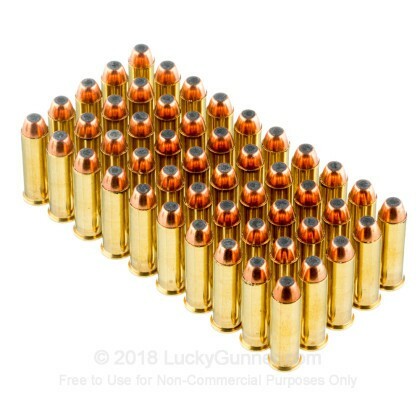 The result is a clean firing round that is ideal for use in indoor ranges for training and competitive paper target shooting. 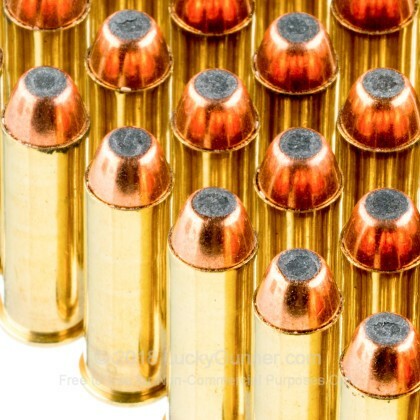 All of Remington’s UMC handgun ammunition is manufactured in Arkansas using top quality brass and clean-shooting Kleanbore primers. 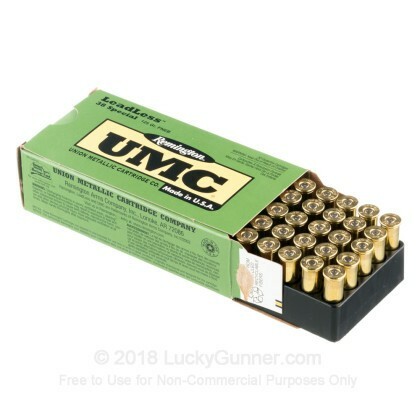 This cartridge is fully reloadable, so you will be able to get results from your purchase during several trips to the range to come. It is backed by the reputation for quality which Remington has fostered over the course of more than two centuries. Shipping was fast, employees were friendly and helpful. 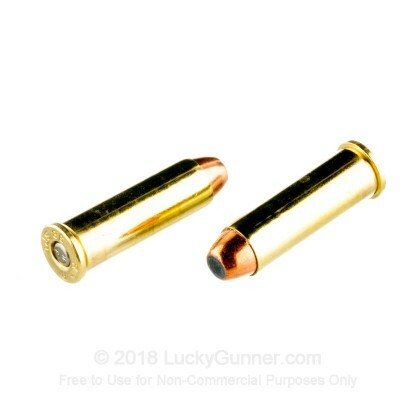 I look forward to repeat business with the folks at Lucky Gunner! 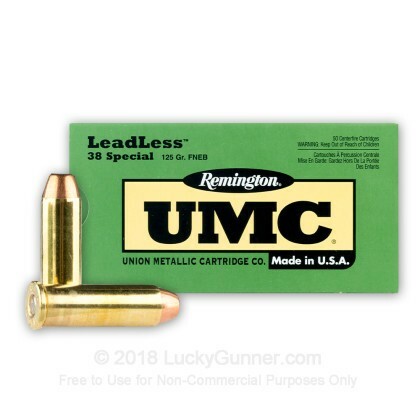 We also have this 38 Special - 125 gr FNEB - Remington UMC Leadless - 500 Rounds ammo in stock in a bigger quantity.